Dao An’s Sifu was so impressed that he encouraged Dao An to take his vow and become a fully ordained Buddhist monk. From then on, Dao An stayed in the temple’s library and read all the sutras that it held. Although the library did not have that many sutras, reading them opened up a great deal of Buddhist knowledge to Dao An. However, after a few years Dao An told his Sifu that he needed to travel to discover and experience more about Buddhism. Dao An travelled to Ye Du鄴都 in Hebei Province河北省. It was the time of the Eastern Jin Dynasty 東晋時代 and the end of the Jin Dynasty and so things were very unsettled and many wars were being fought. Different warlords were invading other territories in order to rule and take control or certain areas of China. 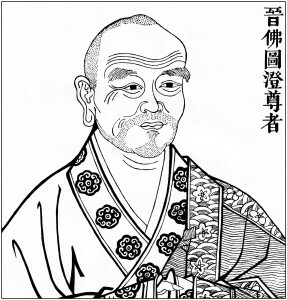 Ye Du was ruled by Shi Hu石虎. 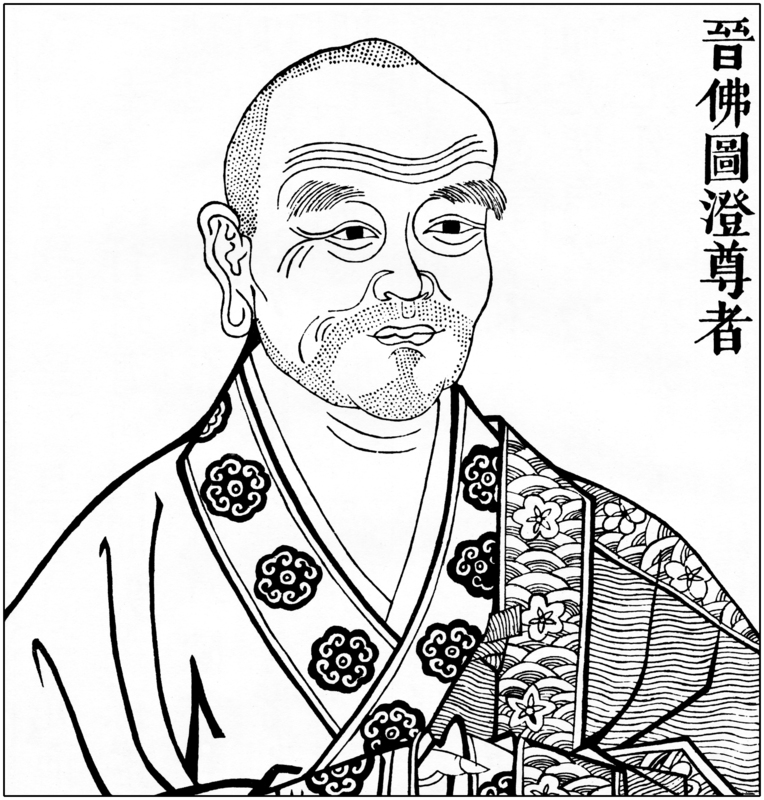 In Ye Du was one Western Buddhist monk named Fotudeng佛圖澄(232-238). Western 西域meant that he was from the west of China and looked more middle eastern than Han Chinese漢人 . Fotuden invited many guest to his temple and he also invited Dao An. In appearance, Dao An did not look particularly special and was not treated especially well. However, after a long discussion on Buddhism everyone was very impressed by him, particularly Fotudeng.